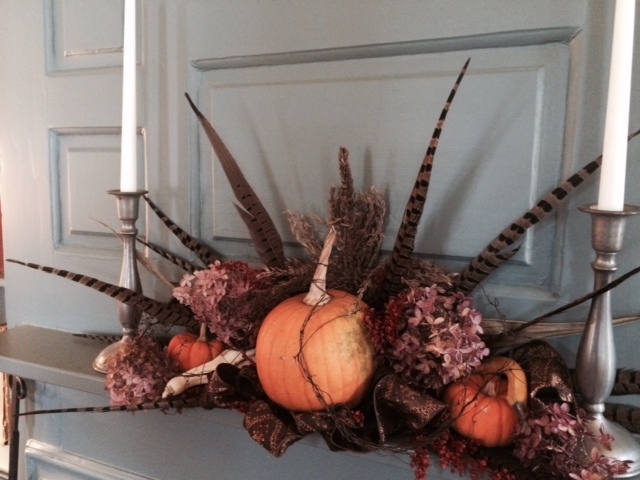 In gourds we trust: 12 ideas from DINE innkeepers for fall decor. We can not allow fall in New England to pass us by without adding some decorating ideas from the Distinctive Inns of New England (DINE) innkeepers. A trip to any of the 12 DINE inns during any of the autumn months will reveal some great ideas using all species of gourds and mums to decorate inside and out. As if Mother Nature doesn’t provide enough of a cornucopia of color, these 12 distinctive inns offer everything from gorgeous wreaths to centerpieces and more using a variety of gourds, pumpkin and squash, not to mention corn stalks, hay and scarecrows too. Every romantic getaway to one of the DINE inns will reveal creative decorating ideas leaving you saying, “Oh my gourd!” each time you see another one! 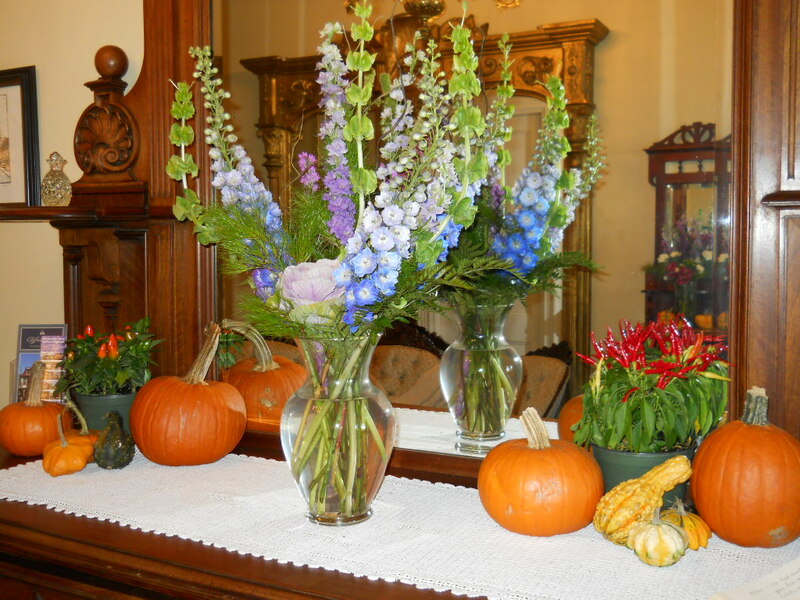 Pumpkins and gourds are the name of the game when it comes to autumn decorating at Cliffside Inn. According to Google, pumpkins, squash and gourds are members of the enormously diverse Cucurbitaceae family, which contains more than 100 genera and over 700 species. Take an armchair tour of the yellow gourd road through DINE country with us as you gather some wonderful decorating ideas for your own homes.Double front doors mean double wreaths at Cliffside Inn during fall months. This pumpkin and gourd collection sits on the mantle of the Grafton Inn. 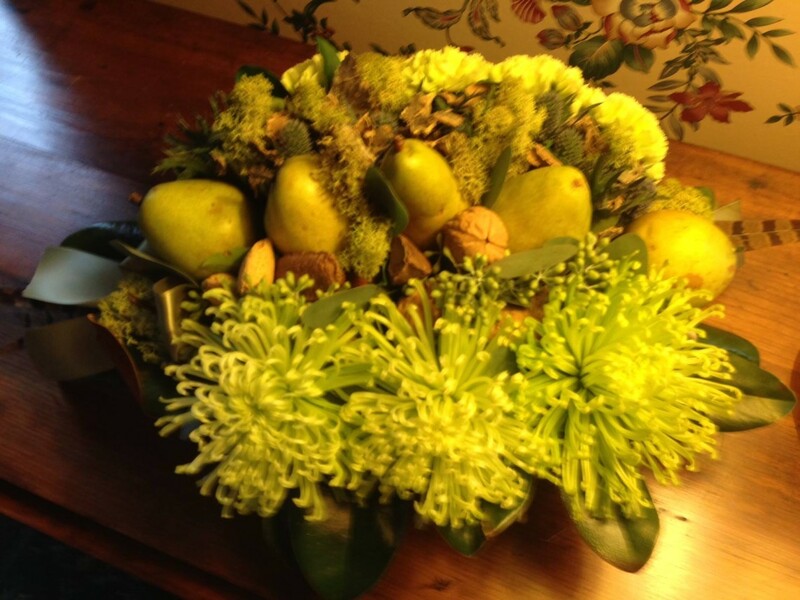 This fall centerpiece at Chesterfield Inn features the best of fall’s bounty. 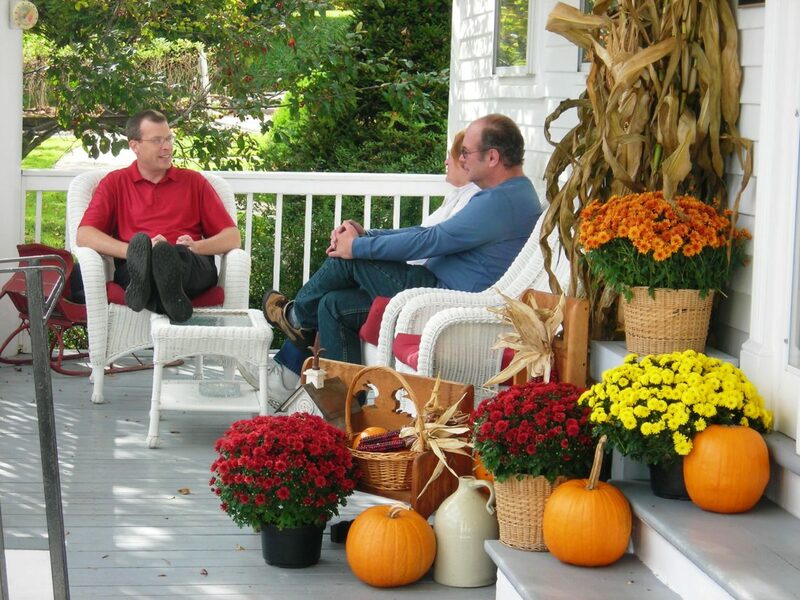 Porches offer the ideal setting for your fall decorations. 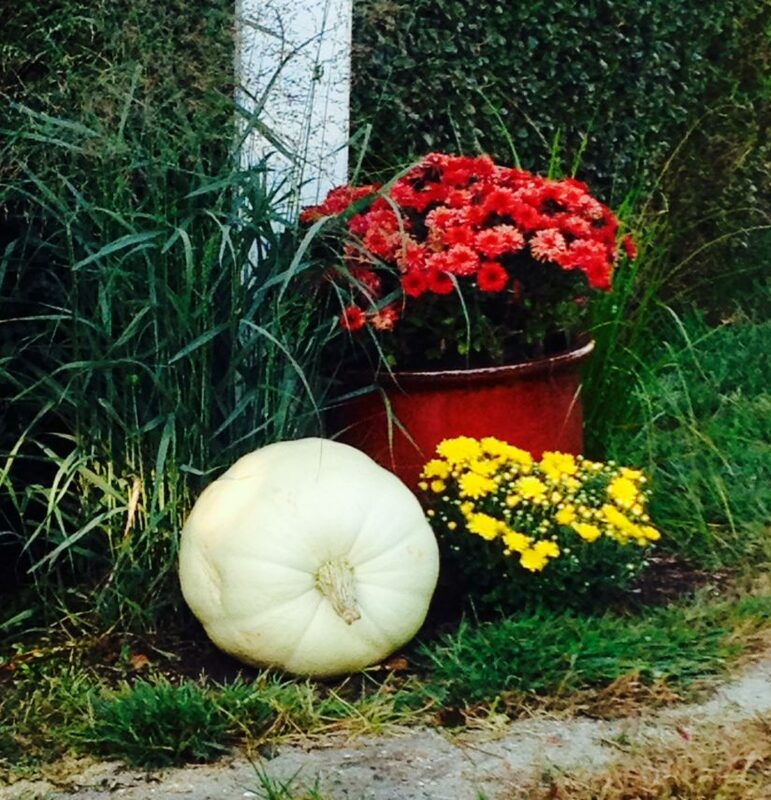 Gather seasonal gourds, pumpkins, corn stalks and mums to decorate like these innkeepers do! A few scarecrows added in will help add a festive fall feel. Guests relax with innkeeper, Donn, at Rabbit Hill Inn. 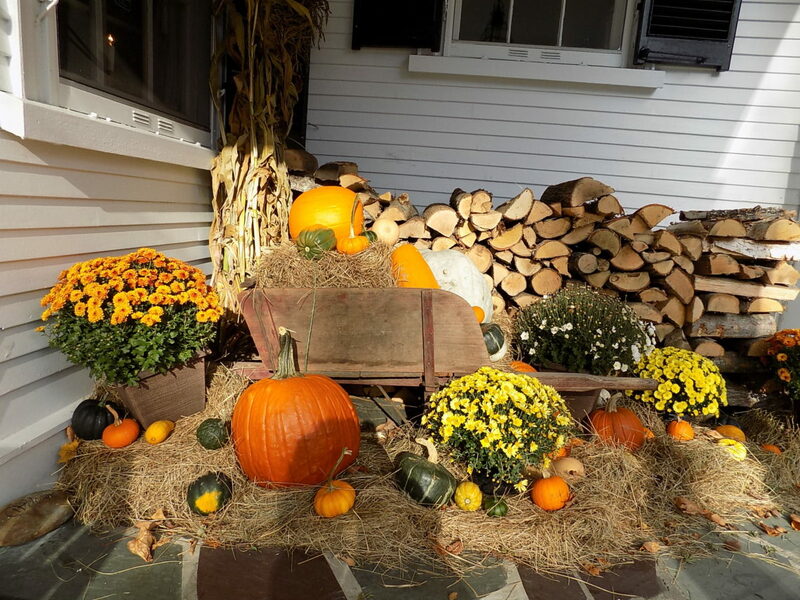 A fall display of color at Captain Jefferds Inn in Kennebunkport, ME using the pumpkins, gourds and flowers of the season. Sometimes the simplest of fall’s bounty makes for the best greeting to guests. Whether it’s a single pumpkin or fall’s beautiful bittersweet, the photos capture the best of autumn’s artwork. 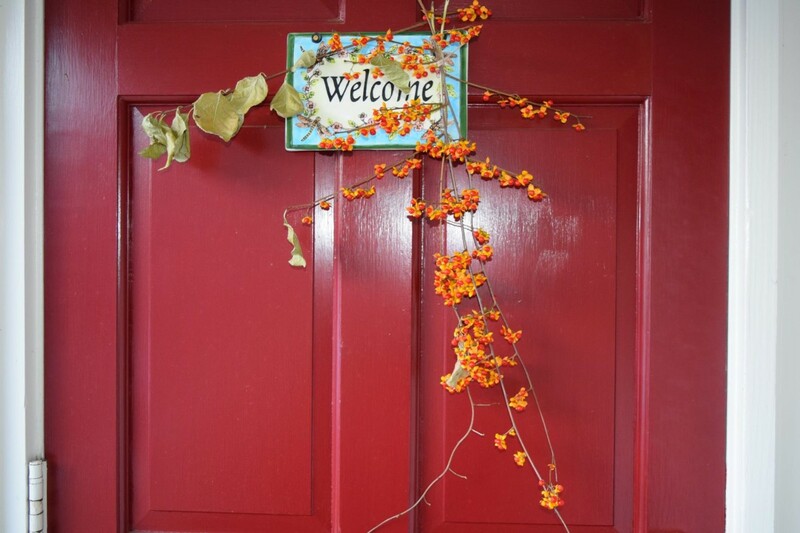 A simple, yet meaningful fall welcome to the Deerfield Inn. 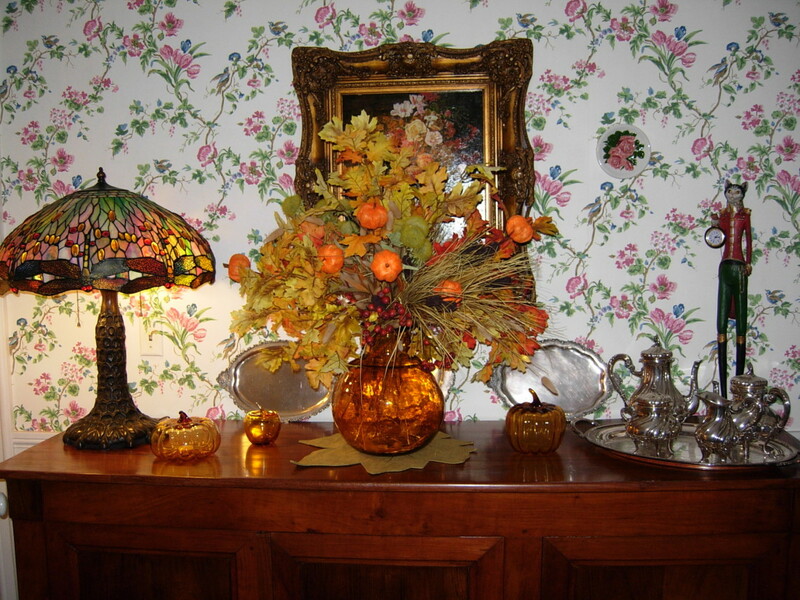 Camden Maine Stay’s decorations include Japanese pumpkins and glass apples. Fall sunsets can make for the most dramatic of photos, especially when colorful mums add to the landscape. 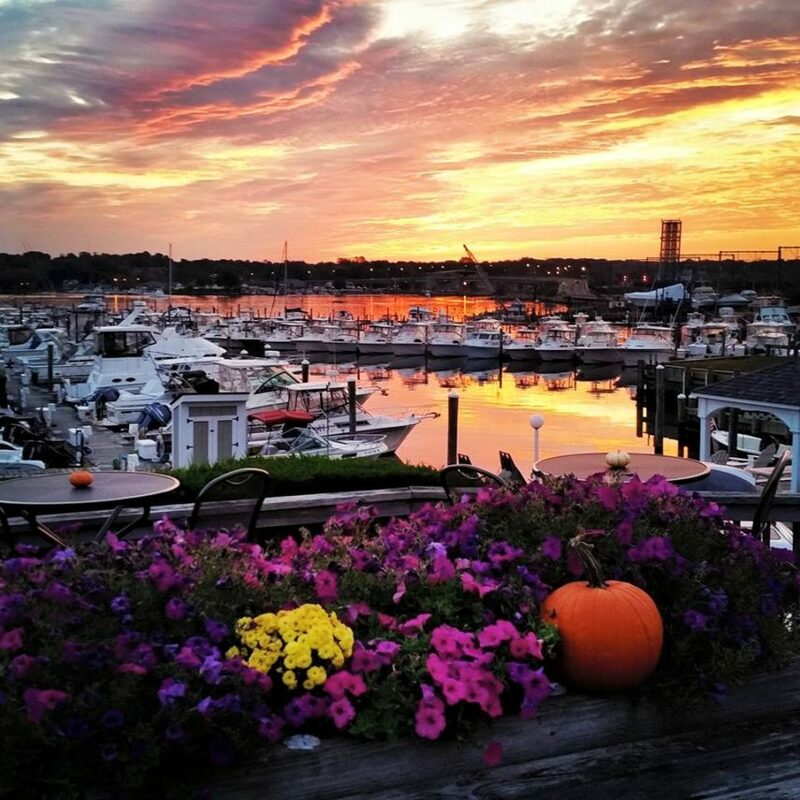 A fall sunrise seen from Inn at Harbor Hill Marina offers gorgeous fall colors. Sometimes in the fall we turn to animals to help us decorate the lawn. This guy made his Columbus Day debut a few years ago on the lawn of the Manor on Golden Pond. 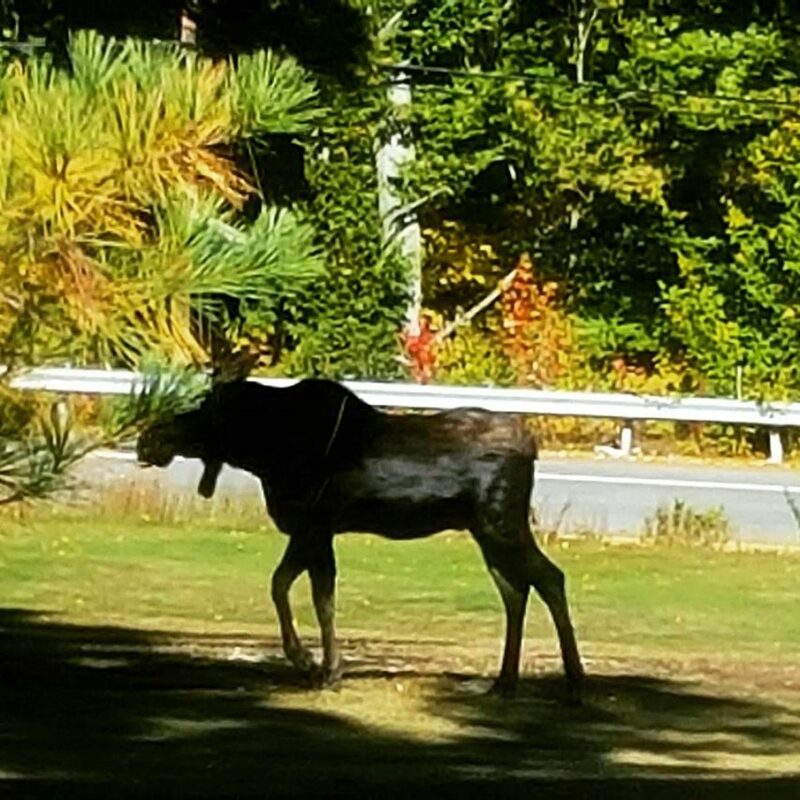 And while it’s not exactly a household pet, we defy anyone who see’s a moose, like this one spotted over Columbus Day at Manor On Golden Pond not to take a photo and post it! 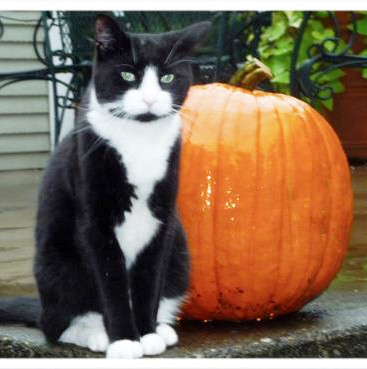 Chesterfield Inn’s Yoda’s Fall/Halloween photo. And farm stands offering up piles of pumpkins and gourds offer the perfect place to find components for your autumn decor. 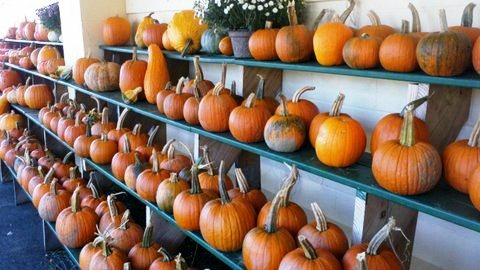 Fall pumpkins and gourds are found at the many farmstands near the Gateways Inn. And when all is said and done, one of the best parts about decorating with gourds is sitting back, enjoying a glass of wine and reviewing the beautiful artworks you’ve created. 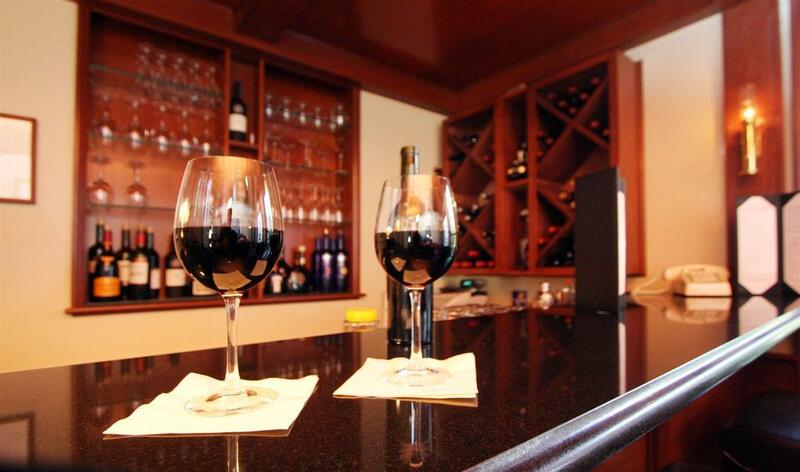 Enjoy a glass of lovely red at the Harbor Light Inn’s tavern after a day of decorating. Next time you need decorating ideas, no matter what the season, pay a visit to one of the Distinctive Inns of New England. Learn more about planning your next romantic getaway to the 12 Distinctive Inns of New England by clicking below on links that will take you directly to each of their websites. This entry was posted in advice, Camden Maine Stay, Captain Jefferds Inn, Captain's House Inn, Chesterfield Inn, Deerfield Inn, Distinctive Inns of New England, Gateway's Inn, Harbor Light Inn, Inn at Harbor Hill Marina, Manor On Golden Pond, Rabbit Hill Inn and tagged advice for fall decor from New England innkeepers, advice for fall decorating, advice from New England innkeepers for fall decorating, decorating with gourds, decorating with pumpkins, DINE autumn decorating ideas, DINE fall decorating, fall centerpieces, fall decor, fall decorating ideas, fall decorating ideas from New England innkeepers, fall wreaths, ideas from DINE innkeepers for autumn decorating by DINE Blogger. Bookmark the permalink.